World TB day yesterday saw The Wits Students’ Bioethics Society raising awareness amongst students at the Wits medical school. 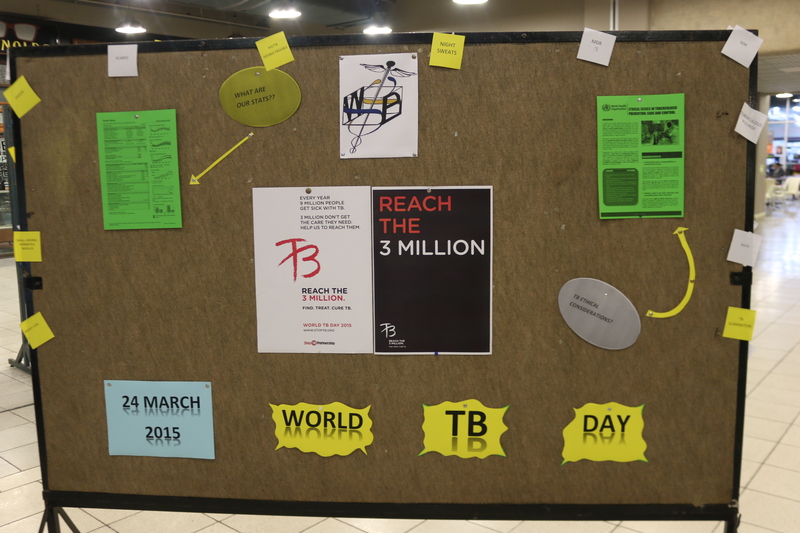 TB awareness boards at the Wits medical school. Photo Valerie Robinson. The Wits Students’ Bioethics Society (WSBS) raised awareness on world TB day yesterday by handing out N95 respirator masks to students at Wits medical school. WSBS is the student wing of the Steve Biko Centre for Bioethics. Member Joseph Tewson said that the response from students was great, with many students being very thankful to receive a mask. “One student even said to us that they need them for the hospitals because the other day they were working in a potentially exposed area and the nurses there would not give them masks saying, sorry we can’t give you the masks because there is not enough for everyone and they are only students,” said Tewson. The masks that were handed out were for the students to keep as they can be reused multiple times. South Africa has the third highest incidence rates of TB in the world with reported cases having increased by 400% over the past 15 years. Out of the 500 000 cases in South Africa the World Health Organisation estimates that 330 000 (66%) people have both HIV and TB infection. World TB day, commemorates the day in 1882 when Dr Robert Koch announced that he had discovered the cause of tuberculosis. Koch’s discovery revolutionised the way TB was both diagnosed and cured.